Among independent media, a ZeroHedge story titled “They’ve Just Taken Leopoldo: Maduro Detains Opposition Leaders At Gunpoint” painted a dire picture of a “growing crackdown” by the Venezuelan government, just days after the mainstream media widely painted the government as a dictatorship hell-bent on clinging to power despite growing unpopularity. While Venezuelan President Nicolás Maduro is by no means as popular as his predecessor Hugo Chávez, this latest effort by the press to condemn Venezuela is not entirely honest. Leopoldo López and Antonio Ledezma were indeed taken at night by Venezuelan intelligence and returned to prison. However, the arrests came after the nation’s Supreme Court ordered that Ledezma and López’s house arrest be revoked, claiming that they had violated the terms of the house arrest. Chief among these conditions were strict orders to not “proselytize” politically. However, in the lead-up to their abrupt arrests, both politicians had been urging protests against Sunday’s vote from their homes via social media and YouTube addresses to supporters. Venezuelan intelligence has also charged that escape attempts were being planned by both figures. TODO el país a la calle con trancazos y en Caracas concentración masiva para ratificar el mandato del 16J: ¡No al FRAUDE de constituyente! López often receives praise in the Western press as a “prisoner of conscience,” “fiery leader” and the Venezuelan Nelson Mandela. He is widely perceived as the international face of the Venezuelan opposition. López’s political past is quite dark, enough so that he himself has sought to distance himself from some of his past actions, namely his active role – while mayor of Caracas’ wealthiest district, Chacao – in the 2002 U.S.-backed failed coup against then-President Chávez. Years later in 2014, López co-led the effort to opportunistically take advantage of student marches commemorating Venezuela’s National Youth Day by fomenting violent protests among the youth opposition, over whom López holds considerable sway. He was later arrested for his role in encouraging the violence. While in prison, López has continued to call for violent resistance to the current government, even urging the nation’s armed forces to “rebel” against President Maduro last month. It is hardly surprising that he has done so again in violation of his house arrest. Antonio Ledezma, though less well-known outside of Venezuela, is a veteran politician in Venezuela and was elected as mayor of Caracas in 2008. Prior to becoming mayor, Ledezma supported the 2002 failed coup and had a role similar to that of López in stirring up violent protests in 2014 that claimed dozens of lives. However, Ledezma is most notorious for having directed state troops to violently quell the 1989 Caracazo uprising while serving as federal district governor of Caracas. As many as 4,000 civilians are believed to have been killed by state police in the uprising. Ledezma was initially arrested in 2015 and charged with having a major role in planning a U.S.-backed coup to oust Maduro. Ledezma’s links to the coup attempt centered around his having made three phone calls to a New York-based number that Venezuelan authorities believed belonged to the financier of the coup plot, Carlos Manuel Osuna Saraco. Other conspirators, who were also formally charged, were found to have made repeated calls to the same number. The slanted reporting on Venezuela’s crisis is hardly surprising. 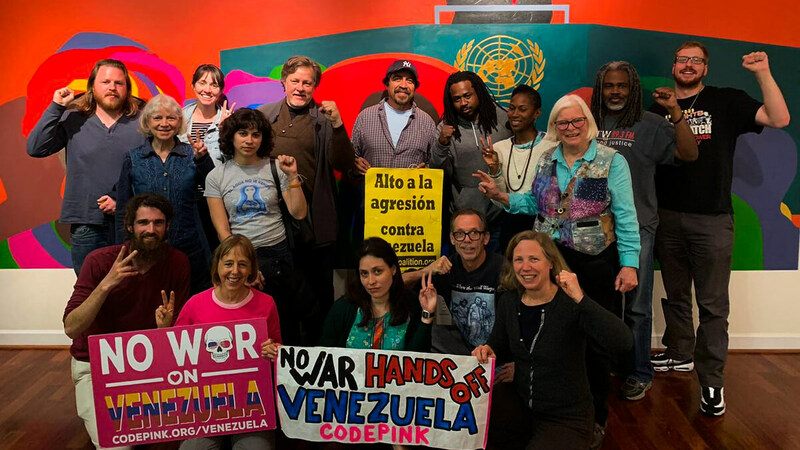 As MintPress has reported on numerous occasions, Venezuela has been targeted by the U.S. for regime change ever since Hugo Chávez came to power through democratic elections and ended decades of U.S.-supported oligarchical rule in the country. Venezuela is quite the prize, as it has the largest oil reserves in the entire world, as well as the world’s second-largest gold reserves and substantial mineral wealth. Also of concern to U.S. interests are Venezuela’s connections to Russia – particularly Russian state-owned oil company Rosneft’s large stake in Venezuela’s state oil company PDVSA. Were PDVSA – which is already in economic trouble – to default on its multi-billion dollar loans from Rosneft, the Russian oil company would likely come into control of PDVSA’s U.S. subsidiary Citgo. Citgo controls critical energy infrastructure in 19 U.S. states. As in so many other cases, the situation in Venezuela has all the markings of a U.S.-backed regime change effort, albeit a more subtle one. From economic warfare to the weaponization of the media, the U.S. has already turned up the heat since Sunday’s vote and things will likely escalate further.